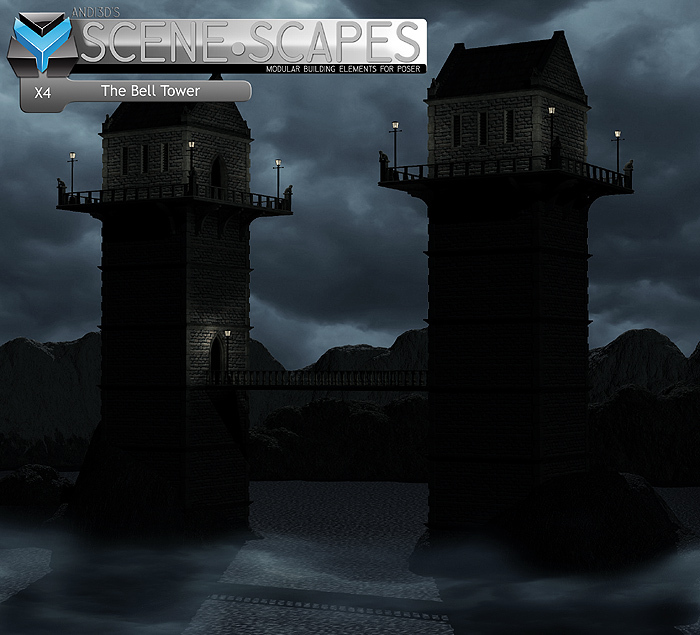 SceneScapes goes on up in this new expansion, The Bell Tower. Featuring a new selection of modular props, this set is intended for forming quick and easy towers of any required height. With three different top sections and upwards sections including two with clocks, the sky's the limit. With all new materials, this distinctive set of props can be used either as a scene setting, or background architecture. This set comes with a basic use tutorial, and a small selection of pre-built pz3's for quick starting.